Masonville Cove is 70 acres of water and 54 acres of cleaned-up wetlands, nature trails, and a protected bird sanctuary, all soon-to-be protected by a conservation easement and part of the Shores of Baltimore Land Trust. 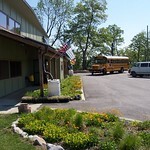 Masonville Cove EEC offers many environmental education programs and opportunities for the local residents and schoolchildren (from Brooklyn, Curtis Bay, and Cherry Hill and beyonnd) to connect with their natural environment. Masonville’s environmental programs take place onsite and throughout the community. Helping the local community become greener reduces the amount of trash and other runoff pollution that ends up in Masonville Cove and the Chesapeake Bay. In 2003, the Baltimore Harbor team proposed a study of the Masonville site for dredged materials. 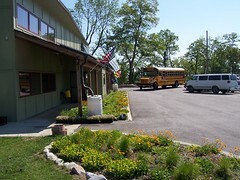 In 2004, there came an opportunity for environmental revitalization when the Army Corp of Engineers and the Maryland Port Administration offered to restore and preserve the natural beauty of Masonville Cove and construct an environmental education center as part of a harbor dredging project. Restoration of Masonville Cove got underway in 2007, including removing derelict vessels from the water and removing over 14,000 tons of wood and assorted debris. The wood was used as fuel for electricity generation in Pennsylvania and recovered metal debris was recycled. The concrete debris was stockpiled to build artificial reefs to provide a home and shelter for fish, crabs and oyster beds. The MCEEC opened in 2009, and the campus opened in 2012, providing the first public waterfront access for residents of Brooklyn and Curtis Bay in generations.